Greetings Board - I've been lurking off and on and thought I'd register and hopefully put the Board's expertise to work. Where is the best place to shop for fresh fish and seafood in the City? I'm thinking more specialty fish market than upscale grocery (whole foods, fox and obel, etc.). Any recs in the west loop/Lake street area? Personally, for the price, selection, and quality, I have been pretty happy. sasquatch wrote: Any recs in the west loop/Lake street area? Outside that area you can try dirk's fish market in Lincoln Park. Issacson & Stein can be good or bad, depending on the day. For me, it's hit or miss. I think the stuff they sell on the retail side of the business is not necessarlly the same quality (freshness) they sell on the wholesale side. Inspect your fish carefully before you buy and you won't go wrong. I'd also second the Dirk's recommendation. Thanks, I'll give them both a try. Where does everybody else buy fish? sasquatch wrote: Thanks, I'll give them both a try. Where does everybody else buy fish? Me, I buy fish from the Italian joint across the Caputo's on Harlem (I think it just says "Pesce" on the awning). I biked over there this afternoon and picked up some Battleship class scallops for $7.99 pound. They also have fresh urchin, if you like that sort of thing (The Wife does), some fine-looking skate, and a range of bivalves. I can second the Mercato del Pesce at 2623 N. Harlem. Among their bivalves are vongole verace (I'm not sure what breed of clam this is), the small clams best for spaghetti alle vongole. Good prices, too. Isaacson and Stein has been pretty average the last couple of times I have stopped in. It just feels substandard and dirty. I agree that Dirks is the best in the city. Awesome quality, friendly staff. Another fish monger that gets consistently good reviews - and wholesales to some of Chicago's top flight restaurants - is The Fish Guy at 4423 North Elston. The address looks kind of out of the way, but it's right near Montrose and Pulaski by the exit from I90. I'm curious if people have any opinions on fish from Korean markets, Thai/Vietnamese markets near Argyle, or other Asian markets such as Richwell or Chicago Food Corp. The prices usually look very reasonable - much lower than Fox & Obel, Fish Guy, Dirks, or Whole Foods - and they have some interesting fish that you won't normally find at those places and might not be able to order from them. 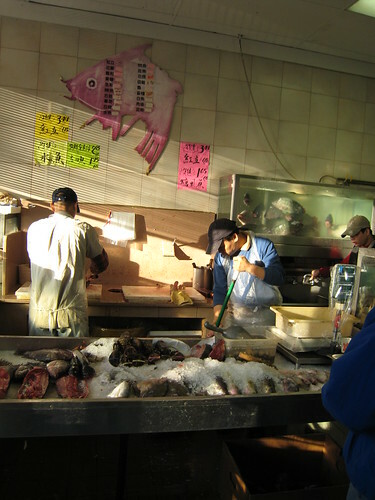 I'm thinking specifically of Pomfret and Yellow Croakers, both of which are common at Asian groceries, often frozen. rien wrote: Another fish monger that gets consistently good reviews - and wholesales to some of Chicago's top flight restaurants - is The Fish Guy at 4423 North Elston. I would dispute that The Fish Guy has ever gotten a positive review here. Their fish selection is very limited and almost never really fresh. I stopped going there a couple of years ago after repeated dissapointments...despite it being the closest fish market to where I live. I think their reputation in the popular press is just so much hype. rien wrote: I'm curious if people have any opinions on fish from Korean markets, Thai/Vietnamese markets near Argyle, or other Asian markets such as Richwell or Chicago Food Corp. The prices usually look very reasonable - much lower than Fox & Obel, Fish Guy, Dirks, or Whole Foods - and they have some interesting fish that you won't normally find at those places and might not be able to order from them. I'm thinking specifically of Pomfret and Yellow Croakers, both of which are common at Asian groceries, often frozen. Has anyone tried these? I, for one, have answered this question about Argyle shops, here. I would proffer the same sort of advice for the Chinese and Korean Markets. That is to say, caveat emptor. But I may be getting ahead of myself, because it should first be said that if you relish the education and the hand-holding that places like Dirk's, F&O, or the Evanston Whole Foods so graciously provide, these shops are not for you. All of that being said, I have completely given up on the seafood counter at Chicago Food Corp. I've been sold wormy fish, twice. OK, "consistent" was over-stepping. They do good reviews in the press outside of "here." I don't actually buy there ... last time I did was years ago and I was happy with the purchase. I should have made that disclaimer. I'm willing to take the fall/eat my shoe for the sake of debate. Guess I no longer need to wonder if I'm missing anything by going to the much more convenient (for me) Dirks. It's not the city, I know, but I get excellent fish from the Sea Ranch on Lake Avenue in Wilmette (across from Edens Plaza); I once read that Charlie Trotter sometimes gets fish there and they have excellent sushi as well. They are about to open, or already have opened, a branch on Dempster, east of Chicago Avenue, in Evanston. But I've also started buying fish recently from the North Shore Fish Co. (I think it's called) on Skokie Blvd. in Skokie (across from Baker's Square). They have very a nice variety of good fish, less pricey than the Sea Ranch, and also very good soups that they make there -- I've had the gumbo and the lobster bisque, which are quite good, and intend to try to clam chowder next. These locations probably don't work for city dwellers, I realize, but north suburban folks might want to know. We go to the Fish Guy every few weeks, usually on Tuesdays. They have $10 Tuesdays, when most fin fish and some shellfish are $10/pound unless the regular price is lower. Last week we got some beautiful grouper that seemed impeccably fresh. I have not noticed any freshness issues on Tuesdays, but Saturday might be a different matter. In any case I wonder about the relevanvce of experience from several years ago. Selection is always limited. We pick the fish first and then decide on the rest of the menu. You can't go in with the idea that I want what I want and nothing else. You really do need to use the approach of going to the market and seeing what appeals without preconceived notions. I'd agree with much of what has been said on the thread, Dirk's is the current best fish monger in Chicago, Isaacson and Stein is well worth a visit, Mercato del Pesce is an excellent place for Italianesque seafood, octopus, clams etc, and Asian markets are highly variable, but can be quite good, and The Fish Guy's not my cup of tea. I'd also add Whole Foods in Evanston to the fish stew, as I've found that particular Whole Foods to excellent for seafood. I also regularly shop at Viet Hoa, which is a full service Asian grocery, for seafood, including fresh, lively blue crab. 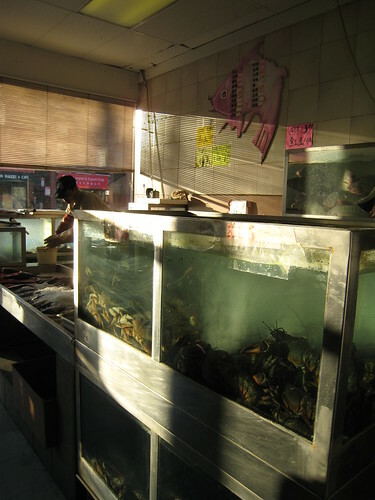 Chinatown Market's seafood is nice as well, with a focus on things Asian, turtle, frog, eel, conch, snail, geoduck clam etc. I happened to be there yesterday and snapped this picture of razor clams. I'll also vouch for sea ranch. The selection is limited compared to a big specialty grocer like F&O or Whole Foods, but I've always found the quality to be very good. BTW they also have a decent meat counter (galbi and bulgogi, etc.). And as a bonus there's also a sushi counter, a Korean lunch counter, and a Korean take-home dishes counter (chap chae, veggies, kimchee, and a whole bunch of stuff I have to ask about before I buy it). Oh, and there's an oriental supermarket there, too. Kind of one-stop shopping. "Okay, we've ordered lunch. Now let's decide where to go for dinner." Resurrecting this thread, last weekend I noticed Sunburst Seafood had opened in Evanston on Howard in the little strip mall just west of Ridge. It bills itself as wholesale and retail. Looked at the window and prices posted looked pretty good, e.g. 2.99 for tilapia filets (not sure if that's fresh or frozen). But it was Sunday, so they were closed; I couldn't look around inside. I'm a little wary of really cheap seafood (as opposed to Sea Ranch, closer to me, always excellent quality but not cheap). 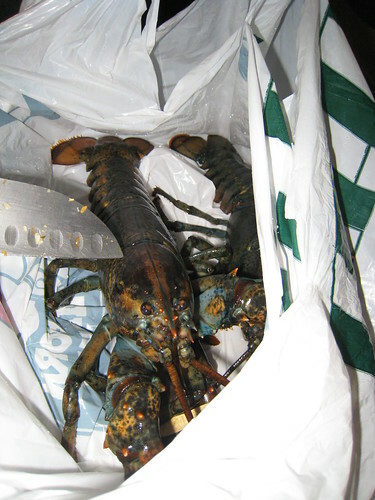 But, having said that, I've had frequent but not consistent luck with fresh fish from Argyle Street. Anyone have any insight on Sunburst Seafood? Since no one else volunteered to my research for me, I stopped by this place this afternoon. 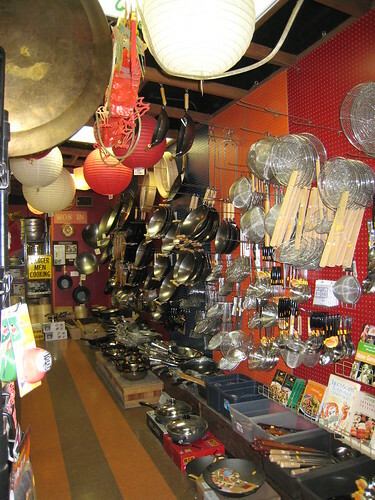 Their primary business is supplying the foodservice industry - the manager mentioned China Buffet and similar places - but they recently opened this small retail store. All product is frozen ("fresh frozen, in the words of the manager), and prices seemed pretty reasonable - I got some frog legs @ $3.99/lb. and some good-sized soft shell crabs for $2.50 each. I noticed king crab legs @ $9.99/lb., tilapia @ $2.49/lb. (or $1.99 if you want a 10 lb. box), and interesting offerings like baby tuna @$1.89/lb. (although the latter was sold whole, and I didn't feel like gutting the fish myself). Since it's close to me, and cheap, I'll probably go back. Just wanted to put in a plug for Dirk's. Got some REALLY nice King Salmon there on Friday. We marinated it in a Chipotle tomato marinade and grilled it, and it was excellent. It was his birthday, so we got $2 per lb off, and saw the huge hammerhead shark someone had mailed him for his birthday. Everyone was nice, and I am thrilled to have this resource nearby. Erik M. wrote: All of that being said, I have completely given up on the seafood counter at Chicago Food Corp. I've been sold wormy fish, twice. Ugh, I hope you don't mean wormy as in fish tapeworm-y in their sushi fish. This is the Chicago Food on 90/94 & Kimball? Good thing I've never bought their sushi/sashimi fish - only the frozen pollock and squid. I usually only get meat from them. I just recently discovered the Chicago Food Corp and love it. I've gotten 2 trays of their fresh sashimi and have been very please. In fact, on both occassions, they were cutting the fish when I placed my order in and there wasn't anything "funky". I also like their meats... I was fortunate to get porkchops for $.99/lb for tonkatsu. I have yet to buy kalbi from there. Their panchan bar is awesome....as well as their little cafe in the back. Cheap and comforting meals is what I got from it. It's just too bad that I missed out on their korean chicken wings, as some lucky gal took the last of it. I stocked up on all my japanese meal essentials and was shocked at how little I spent, considering what I would have spent at a sushi bar/japanese restaurant for all the goodies I brought home. Definitely a good place in my book. We recently bought a box of mikan (Cuties - seedless Clementines) from Chicago Food Corp - SO wonderful. One of our favorite Asian markets and you really can't beat the freshness and price of their tofu. I have never been impressed by Isaacson and Stein, at 800 W Fulton. For a wholesaler, the prices are no different than the grocery stores. It is a decent place to get Cod, and whole red snapper, but again, there is no bargain gained by going there. The owner there once was ripping on his competitor "Rubino's" at Halsted & Lake. This was when I was shopping for stuffed clams in his freezer section, which he said were "made on taylor street" whatever that meant or if it's even true. I guess Rubino's sells stuffed clams too. Who do the restaurants buy from? Plitt? They're right near Home Depot on North Ave. but I don't they they sell retail. I've been to Isaacson and Stein several times and never had a problem with the quality. It seems to me that the prices are pretty good too, although I haven't spent a lot of time price shopping. My biggest complaint is that their hours are not convenient for me. The quality has always seemed as good as Whole Foods at a considerable discount, although not the quality of Dirks. Then again you pay a big premium for Dirks. I've seen ratty looking fish at Dominicks on Division on several occasions so I avoid buying fish there. Its not in the city, but H-Mart in Niles is another good option. Excellent selection and prices if you are ever in the area. RiverWester wrote: Who do the restaurants buy from? Plitt? We like Rubino's and Isaacson for our seafood. Dirk's is great, but they are pricey, and get a lot of their seafood from Isaacson. Rubino's is at Lake and Halsted, and has friendlier staff than Isaacson. The Fish Guy is a disappointing shop. Limited selection, surly help, and they tend to be overpriced. It's too bad because we live near them. I have always been curious about Rubino's. I'm usually by there outside of business hours. But, I've always noticed that their signage indicates great prices on shrimp in various sizes. Are they open Saturdays? Whole Paycheck is breaking my bank with its seafood prices these days.